Do you know how to make a great cocktail? The Chapter is partnering with Koval and Whole Foods to create the Limelight Signature Drink. Enter your original drink recipe using Koval Vodka and your creation could be crowned "Official Drink of the USGBC-Illinois Limelight Fundraiser." Added bonus: winner also receives a $100 gift card to Whole Foods Market. Submit recipes by September 17th for an opportunity to be selected for our October 2nd voting event. Three recipes will be chosen. The voting event will be October 2nd at the Gold Coast Whole Foods! Join us for this tasting event and network with new and old friends. Rules: Recipes must be original. 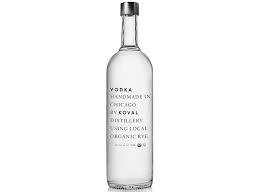 Koval Vodka must be listed as the primary ingredient in your recipe. Recipes must include the following: an original name that complements the recipe, a list of ingredients in order of use (maximum 5 ingredients), exact measurements given, preparation and serving instructions, and the number of servings. Please send entry to taylor.dyer@wholefoods.com .